Mixed Eurozone data over the past week, as well as a contrast between Brexit jitters and Brexit hopes, have kept the Euro to Pound Sterling (EUR/GBP) exchange rate trapped within a relatively tight range since the weekend. While last week saw EUR/GBP only edge slightly higher from 0.8602 to 0.8606, the pair spent most of the week much lower on concerning Eurozone data and hopes for a softer Brexit. EUR/GBP briefly touched a low of 0.8507 in the middle of the week, not far above the yearly lows seen at the end of March. This week so far, EUR/GBP has continued to trend relatively closely to the week’s opening level as mixed Eurozone data leaves the Euro (EUR) limp, while broad ranging Brexit uncertainties keep the Pound (GBP) from making any big moves. For most of last week, concerns about the Eurozone’s slowing manufacturing sector worsened market concerns about the global economic slowdown’s impact on the Eurozone. However, signs of strength in other economic sectors like services, as well as some slightly better than expected German industrial production data, helped the Euro to avoid deeper losses. Yesterday saw the publication of the Eurozone’s latest investor confidence data from Sentix, which was also slightly better than expected due to an improving economic outlook in China. These stats have not been enough to keep the Euro appealing though, as uncertainty over the manufacturing and trade sectors persists. On top of this, US President Donald Trump has once again threatened tariffs on US imports of EU goods. The Pound has been unable to capitalise on the Euro’s mixed movement either, as despite hopes that a softer Brexit could be agreed, there is still doubt that the EU will agree to delay the Brexit process further. 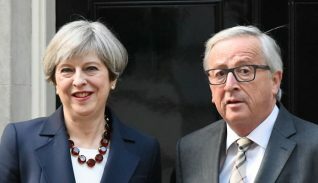 UK Prime Minister Theresa May will attempt to acquire a fresh Brexit extension during an EU summit on Wednesday, but leaders from France have warned that the EU may not agree to a delay unless the UK provides a good reason for it. 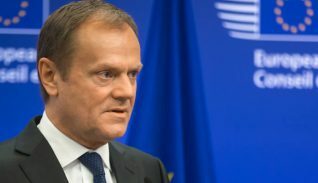 As the EU has indicated that a delay is not a done deal, it means that the possibility of a worst-case scenario no-deal Brexit happening on Friday remains. For now, Prime Minister May is attempting to negotiate another Brexit delay with the EU, as well as a Brexit compromise with the opposition Labour Party that could help the deal to pass through Parliament. Until there are some major developments regarding the Eurozone economic outlook or the Brexit process, the Euro to Pound (EUR/GBP) exchange rate’s movement is likely to be limited. While Brexit surprises are certainly possible throughout today, market attention is currently gearing towards tomorrow’s EU summit. At the EU summit, UK Prime Minister Theresa May is likely to attempt to negotiate some kind of Brexit deal with the EU, especially now that the UK has passed a bill to delay the process. If Britain is unable to acquire another Brexit deal over the coming days, it would lead to a worst-case scenario no-deal Brexit and the Pound would plummet. Wednesday will be an influential session for Euro investors too though, as the European Central Bank (ECB) will hold its April monetary policy decision. Following mixed Eurozone data in recent weeks, investors are eager to see if the bank’s tone on the Eurozone economy has changed at all. If the bank takes an even more cautious tone, then ECB interest rate hike bets will slump lower still and the Euro to Pound (EUR/GBP) exchange rate is more likely to fall, though Brexit news will remain the most influential cause of movement.